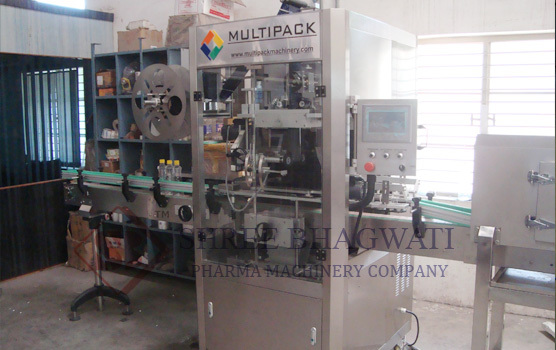 With over a decade in the industry for manufacturing and supply of packaging and labeling equipments, Bhagwati labeling company has emerged among the best and leading equipment suppliers in the world. In addition to high quality equipments, the company has developed an efficient sales and customer service system such that all your needs and queries are addressed in a timely and efficient manner that you are able to make a good decision early enough. Shrink Sleeve Applicator and Shrink Sleeve Label Applicators Shrink sleeve applicators have been developed in various models and are used in dairy products processing, beverages labeling, cosmetics labeling, packed food products and many others. The machine can handle from 150 – 400 pieces/minute. The machine is also designed to be easily integrated with existing packing lines. Shrink Sleeve Label Applicator Machine Among other advantages, this equipment is high speed application equipment that handles up to 250 products per minute. It is used for sleeve inserting and sleeve shrinking. It is durable and maintenance free. The equipment also comes in various models with different features, depending on the user requirements. Bottle Sticker Labeling Machine A whole range of bottle sticker labeling machines are available to handle the many different types of products available in the market. The equipment can handle medicine bottles, cosmetic, beverages and industrial chemicals. It also does high speed application and is among the most efficient models in the market. Vial Sticker Labeling Machine This equipment is fully automated and operates with minimal human supervision. The Vial sticker labeling machine can apply sticker labels on flat (rectangular) as well as round bottles. The automated label length detection system eliminates the need for manual feeding of the label. Single Side Sticker Labeling Machine Single Side Sticker Labeling Equipment is also among the flagship products of the company that is able to operate virtually free of maintenance for a length of time. It is also easily calibrated and has enhanced equipment safety features. Top Labeling Machine Top Labeling equipment is easy to install and calibrate. It is equipped with three heads making it able to label the tops of containers as well as the sides of the bottles and containers. It is also easily integrated with the other equipments in the production process. Automatic Induction Cap Sealing Machine The induction cap sealing machine is efficient, low waste generation and can handle different sizes of containers as the demand may require. It is also fast and efficient equipment with good return on investment. 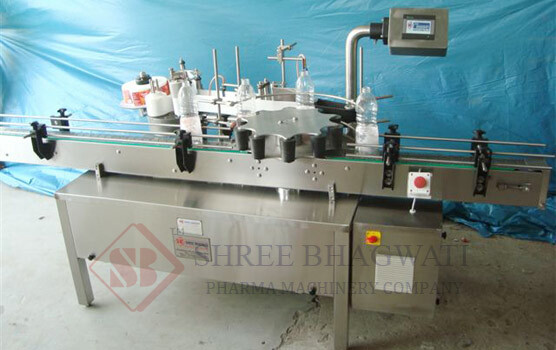 Conclusion Bhagwati labeling company offers the best labeling machines and an efficient customer service system. They have quick delivery of purchased products, contract labeling and are always looking for a business partner worldwide to create a more efficient supply chain.